This section is mostly used for internal reasons. Please see clinical supplies under the "Search Categoires" section or click here for a more organized view. The Capsule Machine is one of the best home encapsulating devices on the market. Best uniform quality, all USA made. Replacement cups for Deluxe Plastic Cupping Set. Replacement cups for Deluxe Plastic Cupping Sets. Unit Size: 1.8" x 23"
Holds TENS electrodes, magnetic electrodes, or other devices comfortably on any part of the body. Unit Size: 1.8" x 40"
Best uniform quality, all USA made. May be used with all TENS and EMS, or Microcurrent devices. 150cc white HDPE bottle with cap. Larger brass moxa warmer with removable holder for use with pure moxa punk or herbs. New, oval-shaped electrodes. Best uniform quality, made in the USA. 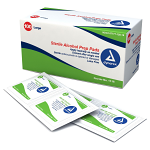 Convenient, easy-to-use, breathable, hypoallergenic, adhesive replacement plasters. Five Element wall charts by Honma. 800 gauss ferrite magnets. Accu-Band are the most popular acu-magnets. 24k gold plated (GP) or non-plated (NP) 0.09" x 0.2" diameter magnets with 0.8" diameter adhesive plasters. The bionorth (-) side also features a tiny protrusion at the center of the magnet which provides additional stimulation to the point. 800 gauss ferrite magnets. Accu-band are the most popular acu-magnets. Non-plated 0.09" x 0.2" diameter magnets with 0.8" diameter adhesive plasters. The bionorth (-) side contacts the body. This bionorth (-) side also features a tiny protrusion at the center of the magnet which provides additional stimulation to the point. New 17 plastic cup set with magnets which also apply a mild acu-pressure to the body. a comprehensive guide to acutaping. Ideal for students to practice their needling techniques. Provides realistic skin like surface for needle insertion. Unit Size: 8.5" x 11"
Permachart featuring the various Acupuncture Points on the human body, including diagrams of all Meridians. All natural 2 mm diameter seed for ear or body points. Supplied on rigid plastic holders with tan, individual 0.4" x 0.4" 3M surgical tape. Tapered with a serrated tip. Also may be used with intradermal needles. Stainless steel. Contamination free, easy one hand alcohol dispensing. Made from durable high density polyethylene (HDPE). Uses a stainless steel pump with flip-top cover. Unit Size: 3.54" x 1.18"
Unit Size: 72" to 78"
Will adapt to stimulators which use the standard 3.5 mm jack. These high-quality glass facial massage cups are an excellent choice for your cupping needs. Ergonomically shaped, precision tweezers with a solid body for safer handing. Unit Size: 7" x 4"
Heat resistant, sturdy and thick walled, clear viewing glass jars with stainless steel covers. Unit Size: 4-sided chart, 2 panel binder. 8.5" x 11"
The book offers in-depth evaluation of the theoretical and clinical underpinnings of auriculotherapy. Unit Size: 5" x 0.5"
Small, easy, quiet, push button concealed spring release pen for bleeding points. A round shaped head on this neurological hammer permits percussion from any angle. Made of bakelite, this Moxa Burner fits any size moxa rolls to make your moxibustion treatment more efficient. Unit Size: 3.7" x 3.3" x 3.7"
This exclusive Chinese bamboo boxes are ideal for easy and reliable moxibustion therapy. Unit Size: 5.5" x 3.3" x 3.7"
This bamboo moxa box is ideal for easy and reliable moxibustion therapy. Unit Size: 58" long wires include 2 banana plugs and 3.5 mm jack. 58" long wires include 2 banana plugs and 3.5 mm jack. Originated in ancient China 5000 years ago, the Bian Stones were used as a primary tool to treat, long before acupuncture and moxibustion. Thin and flexible, 0.7" thick 400 gauss all bionorth (-) magnets. An upgraded version of the BioStim LX TENS, this unit offers the latest technology in electro-therapy. Unit Size: 1.6" x 2" x 1.1"
Indirect moxa is burned inside the 1.6" x 2" x 1.1" brass chamber (with 6.3" handle). Rounded rubber tips are on both ends of the Buck Neurological Hammer. Features a 0.1" wide slot for removing hot moxa Needle Caps from needle handle. Each box contains 5 individually wrapped plasters measuring 9 cm x 12 cm and a small plastic tube of liquid. Unit Size: 8.5" x 11", laminated. Unit Size: 1" x 3"
A large flat 1" x 3" surface for applying scraping treatment. A 2" long polished silver tool for scraping acupressure points. 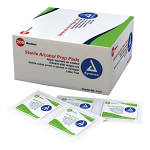 Contamination free, easy one hand alcohol dispensing for your treatment room. A traditional scale made of copper and stone stick. Ideal for weighing bulk herbs. 1-50 gram. The innovative design of Cup n Stim combines cupping therapy and T.E.N.S. in a simple, effective way. May not work with mico or milli amp units - only recommended for TENS units. 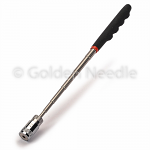 This heavy-duty magnetic tool is great for picking up needles that have fallen on your treatment room floor. Multi-functional derma roller with spring-loaded probe. 11.5" (29 cm) plastic model from China. Two sided probes. One side is a straight tip, and the other is an angle tip. 2" (5cm) x 6" (15cm) Double Head jade roller for facial rejuvenation. Very popular for facial treatments. Deluxe double jade roller measures 6" long, with 2" rollers at one end and a 1" roller on the other. This small dual probe is great for locating and treating ear or body points. The E-Stim II is the most economical and easy-to-use portable electro-therapy unit. Large size (5"x3"), flesh colored, plastic ear model. Ear Model Zone Type - 7"
Unit Size: 6.7" high (17 cm) x 4" wide. Stainless steel probe for locating and treating ear and body points. Derma roller with Acu probe. Sheet of 100 small round magnetic pellets for acupressure to the ear, hand, and body.